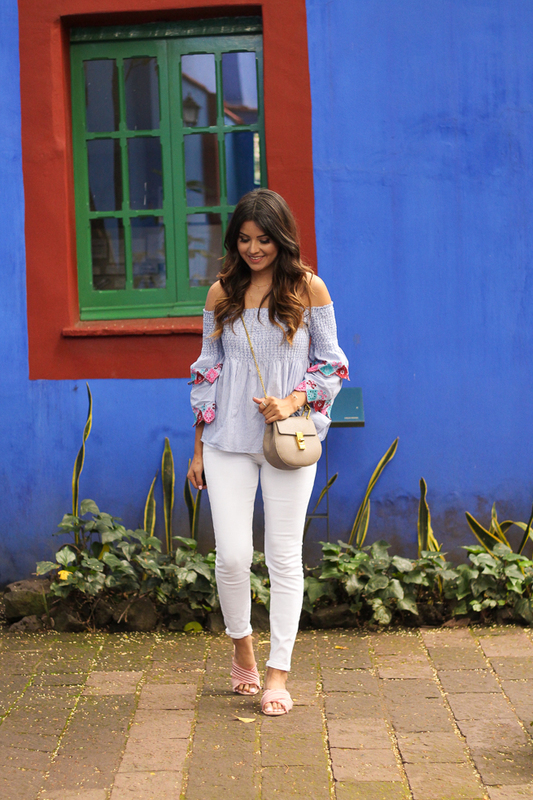 Today I'm sharing the outfit I wore when we visited Coyoacan in Mexico. We visited Casa Azul which was Frida Khalo's house and is now turned into a museum. 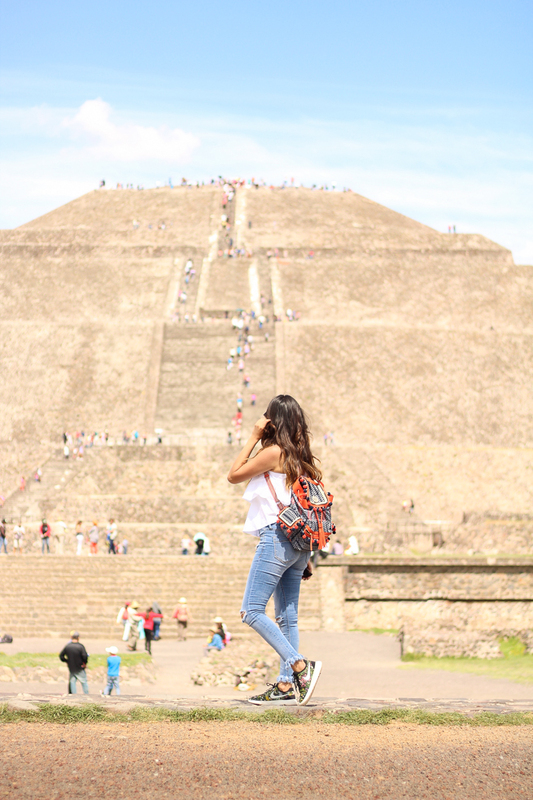 It's such a pretty place and the history is really amazing. I'd been there many years ago, so to be expected the experience would be different this time around. The house is completely changed and parts that were open before were now closed off. 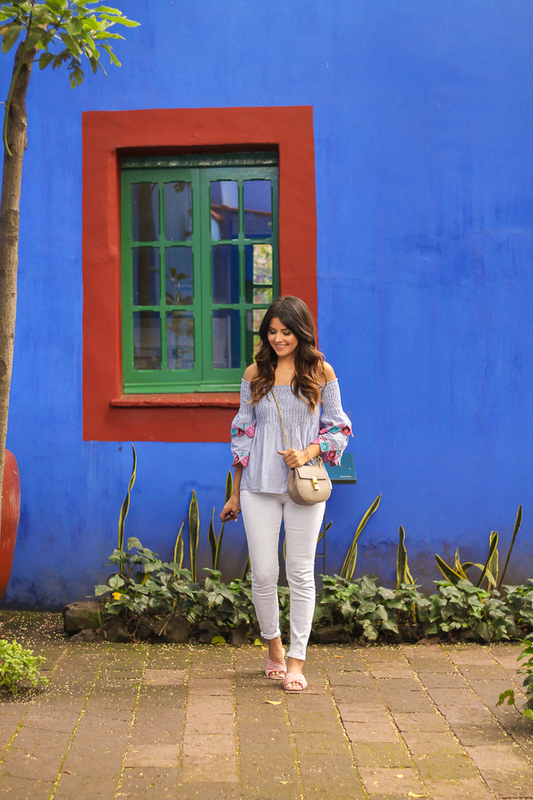 It felt like a museum instead of a house that Frida lived in…so I didn’t appreciate all the changes. However, I loved all the displays. One of my favorites was the display of her dresses. I’ve always thought that dressing up is a way to dress up one’s attitude about life… “al mal tiempo, buena cara.” And, Frida did this with her dresses, her corsets, and the casts of her torso (that she painted and made look so beautiful). I also loved how proud she was to represent her Mexican heritage in her clothing. For example, on her wedding day she wore a traditional Mexican dress in bright colors instead of a white dress. Anyhow, she was a strong and inspirational woman…and it was awe-inspiring to be where she once suffered, loved, and overcame. The day started off cloudy…which was normal for Mexico and we didn’t expect it to rain until later in the evening. However, when we got to Frida’s house the line was CRAZY long and it started to rain a little. We were considering leaving since we didn’t want to be caught in huge rain pour…BUT one of the workers noticed that my aunt was using a cane and offered to take us to the front of the line so she wouldn’t have to stand too long. That kind gesture meant we stayed and got to enjoy the museum. 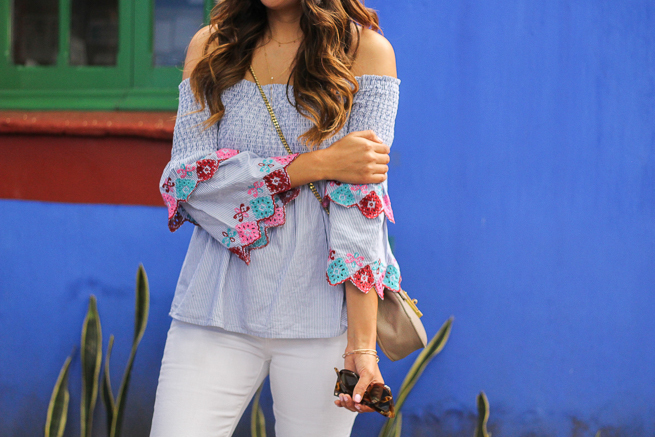 I wore this pretty off the shoulder top with white jeans and some pink slides. 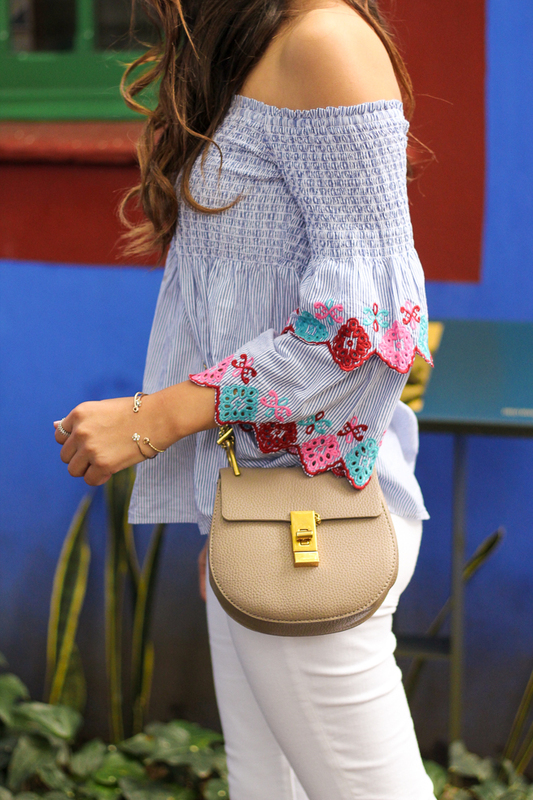 I am so obsessed with the embroidery details on this top.. it doesn’t get any cuter than that! I ended up sizing down on this top because I wanted the sleeves to be tighter around my arms…I’m usually an XS Regular in Loft tops and I sized down to a XS Petite. This fit smaller and the hemline was shorter- which I preferred.